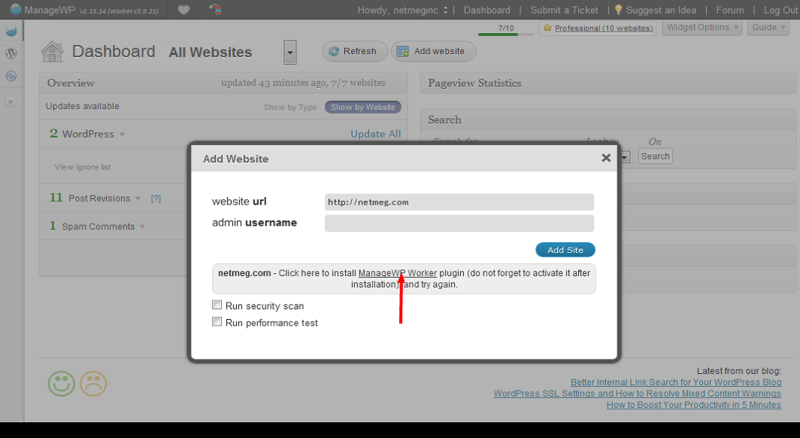 Add your site's URL and the username of your admin account (Note: you do NOT need to give ManageWP your password) At this point, it will check to see if you have the ManageWP Worker plugin installed on the site you're adding. 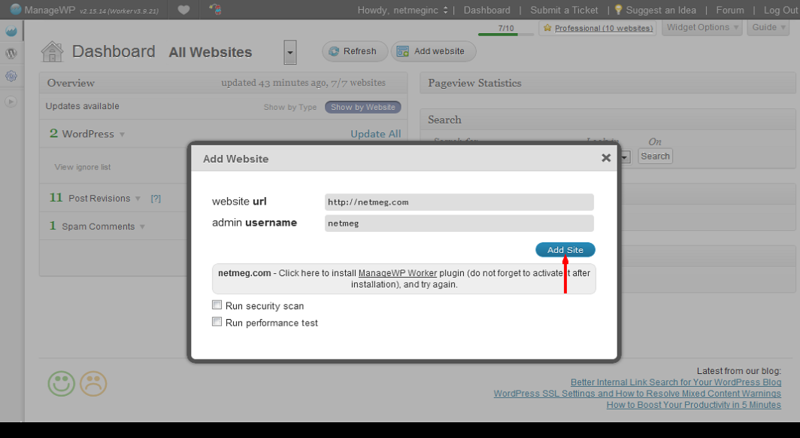 At this point, your site's admin will load up in another browser tab or window, and you will be prompted to login as admin, and taken immediately to the ManageWP Worker plugin. 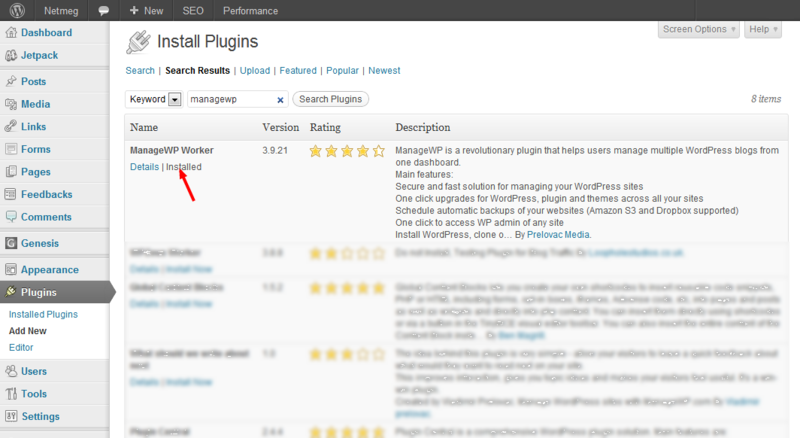 You must install and activate this plugin in order for your site to appear in your ManageWP Dashboard. 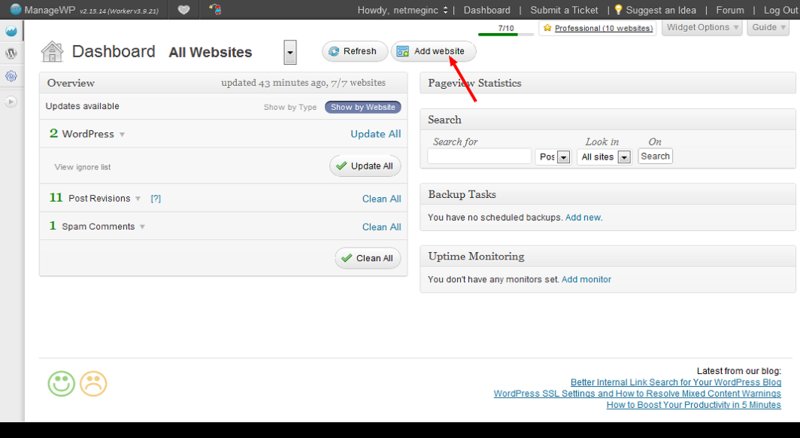 The reason this red box shows up is that it *really important* to go back to your ManageWP dashboard at this point and finish adding your site. 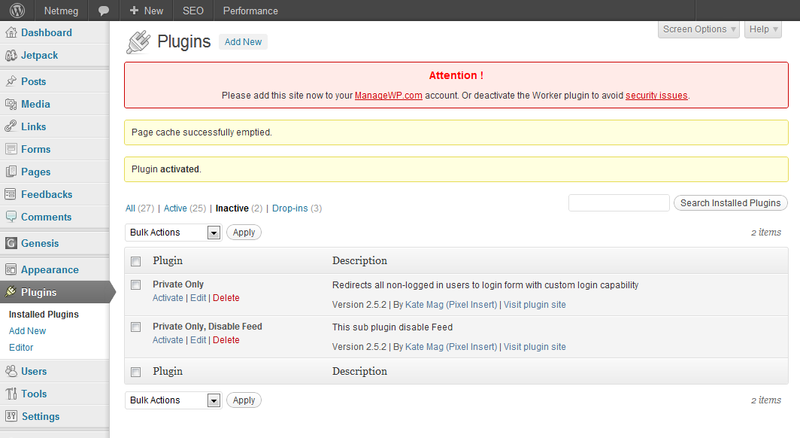 The security issue they mention – technically if you leave this plugin activated but don't add it to your ManageWP account, someone else could add it and “close the loop.” The odds of that happening are pretty slim (unless they know you've got the plugin activated) but don't tempt fate. Go finish it. 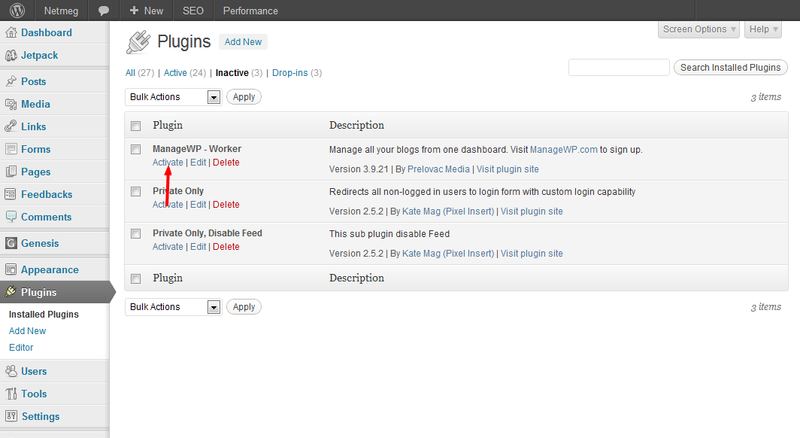 Ok, now you can actually add the site to your Dashboard, and bing bam boom – you're done! Rinse, and repeat.